Interested in Changing Lives? Become a Support Group Leader!! 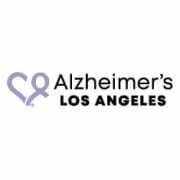 Alzheimer’s Los Angeles is dedicated to supporting families and caregivers. For many, the best source of support is through regular support group meetings. Not only is it an opportunity to understand you are not alone in the daily struggles of caring for someone with Alzheimer’s disease or another dementia, but you will build relationships and learn from other caregivers who understand what you are going through, develop new coping strategies and find comfort, strength and hope in a compassionate and safe environment. Our Support Groups are FREE, led by a trained group leader, completely confidential and are held throughout Greater Los Angeles, the Inland Empire and Riverside County in multiple languages.